If you're looking for a fun and unique idea for a night out, consider a paint and wine party! Have a drink with your friends while a qualified instructor shows you the foolproof steps to paint a beautiful picture. Whether you're planning a bachelorette party or a date night, these are the 10 best paint and wine parties in Mississippi. Twisted Tree Studios has put their own spin on paint parties by providing mobile services. You can even schedule a sangria/mimosa morning party! Some of their most popular classes involve painting wood cut-outs, creating a lasting piece of art you'll be happy to display in your home. In addition, they have an online boutique which features handmade items from local artisans. Prissy Paintbrush Studios was started by sisters Hope Mallard and Sabrina Howard as a face painting business in the Jackson area, but their love for art has helped them to grow into a full-time art studio. They offer private parties as well as events which are open to anyone who wants to sign up. Book an event today and find out why their popularity is soaring! Painting with a Twist started as Corks N Canvas in the New Orleans area, and it has now grown into a nationwide company. Painting with a Twist is proud to employ independent artists and provides franchise opportunities all around the country. In Mississippi, there are locations in Hattiesburg, Flowood, and Olive Branch. Studio AMN is owned by Melanie and Janella John, and they have made a name for themselves by providing well-organized, professional events of any size. Customers rave about the hands-on attention the organizers provide, as well as the relaxing atmosphere. Be sure to browse their gallery for unique pieces to bring home or give as gifts. Sip-N-Doodle offers over 500 images that you can choose from or you can even bring in your own picture, so you're sure to find something you'll love to have hanging in your home. Unlike many of the paint parties, everyone can paint something different. They guarantee you'll have a great time! Easely Amused has been operating in the Jackson area for years, thanks to their great instructors and fun atmosphere. The colorful studio will get you in the artistic spirit as soon as you walk in the door. They post their schedule online well in advance, so find a painting you like and set the date! Wet Paint is a fun twist on a traditional paint party. Instead of working with canvas, participants choose a piece of pottery to paint. They have a party room where they host private events, or individuals can go in anytime with no appointment needed. Let your creativity bloom as you create a one-of-a-kind piece you'll love for years to come. Canvas and Cocktails in Gulfport is one of the most popular destinations on the coast for paint parties. In addition to private parties, they also have events which are open to individuals. 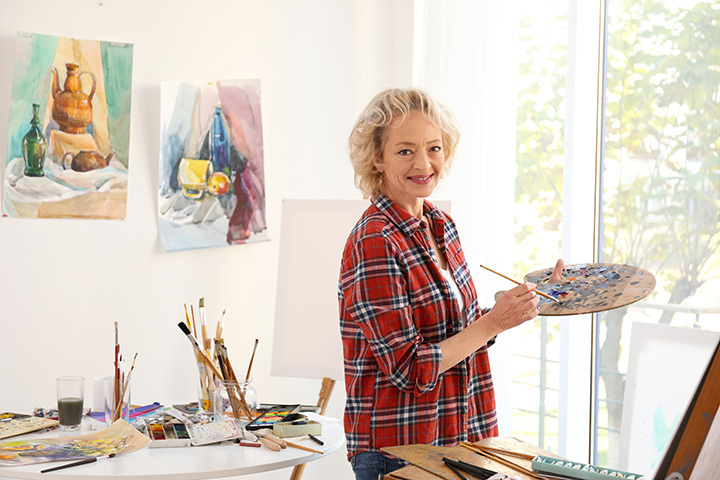 For a unique date idea, try a Couples Night—each partner paints an individual canvas which makes one bigger picture when they're put together. Don't let the name fool you—all you have to bring to B.Y.O. Brush is your own refreshments (including adult beverages). The brush, canvas, and other paint supplies are all provided for you. This studio in Ocean Springs is run by Angi Sims and Haven Lyons, and these two ladies will make sure you have a night full of excitement and fun! Let's Paint is one of North Mississippi's premier home for paint parties. They're family owned by Sarah and Jim Cross, and they treat every participant as a personal guest. They don't allow drinking in their studio but they do offer mobile events. In addition to their public and private events, they have a specialty group just for moms!